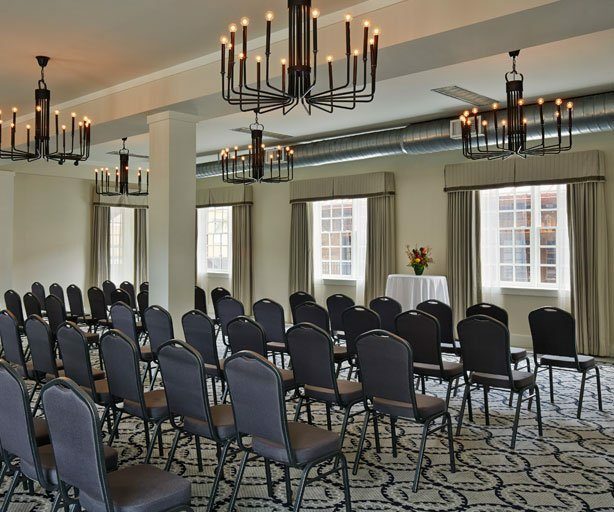 The Foundry Ballroom is the perfect space to host wedding receptions, corporate meetings or your next holiday soiree. Ideal for medium and large groups, this 2,600 square foot space can accommodate up to 250 people. This historic space in Athens, GA boasts beautiful exposed brick walls and open-beam ceilings that frame floor to ceiling windows. To accommodate larger parties, an optional adjoining terrace is available for rental with this space. 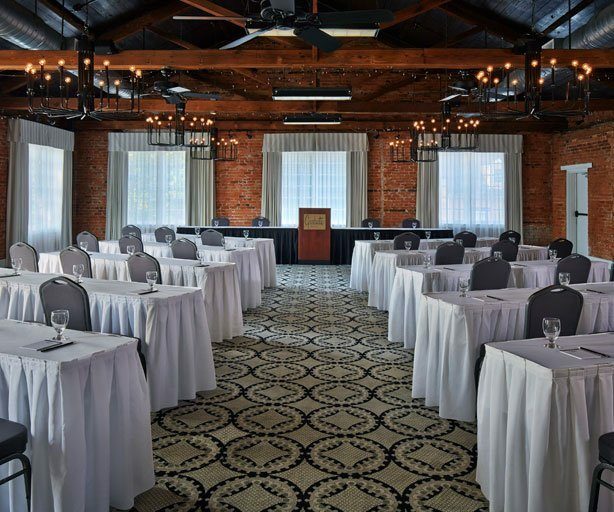 Conveniently connected to our main building, Galleria I is the perfect venue for all things business and can be transformed into an intimate dinner party or bridal luncheon setting, boasting floor to ceiling windows, modern finishes and is equipped with the latest technology. To accommodate larger parties, an optional adjoining terrace is available for rental with this space. Conveniently connected to our main building, Galleria II is the ideal venue to host more intimate dinners and wedding ceremonies. Floor to ceiling windows and open-beam ceilings provide a light and airy ambiance, while exposed brick walls maintain the room’s warm, historic charm. 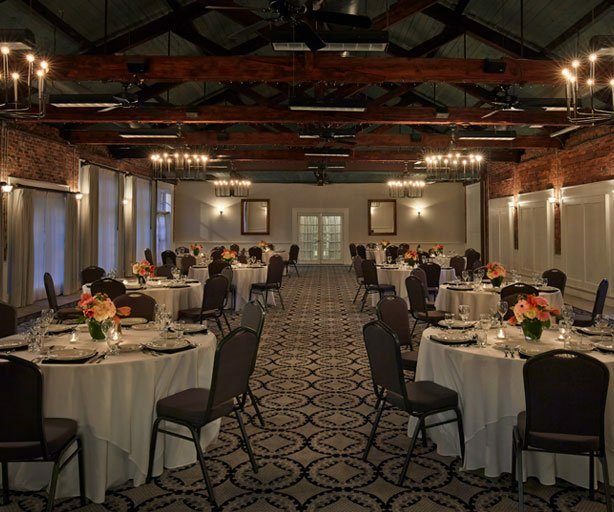 From rehearsal dinners to the big day to traditional cocktail receptions, our Pavilion is the picture-perfect venue to bring the party outdoors. 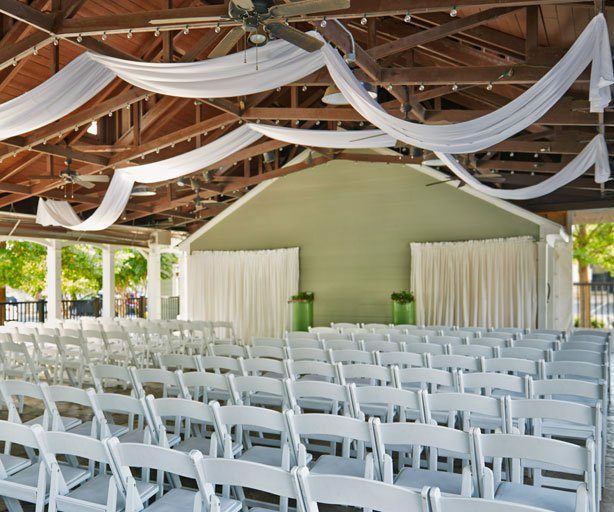 Nestled in the property’s lush courtyard, this open-air venue offers a light and airy atmosphere with its soaring beams and skylights. Optional window siding, ambient heaters and ceilings fans are included with the Pavilion to keep your party comfortable no matter what the weather. The Southeast’s living room to national, regional and local musicians, our music venue is available for rental for private events. Ideal for hosting larger parties and weddings, this multi-tiered space includes a cozy bar and restaurant, flexible 1st floor and mezzanine level dining (and dancing) space, stage and soaring balconies. 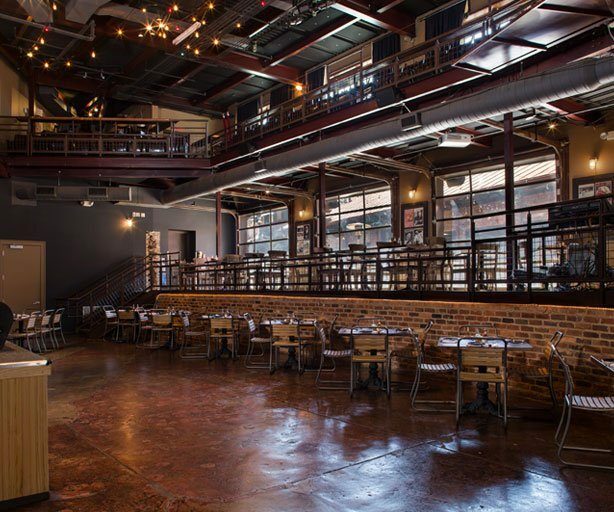 The Foundry’s restaurant & bar is also available for partial rentals. *With terrace rentals, the space can accommodate an additional 48 people.